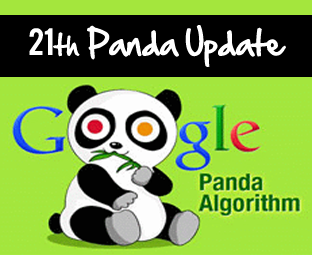 All webmasters were anxiously waiting for a Page Rank Update, but Google did totally reverse by throwing out a taunting Panda 21th Algorithm Update. Since, the previous 20th Panda algorithm was rolled out on 4th September, so it is an ideal time to witness yet another refresh. This new 21th Panda Refreshment affects around 0.4% search queries for a normal visitor. However, USA users will get some extraordinary treatment because for them around 1.1% of search queries are affected. It seems to be a minor refresh because it hardly affected less than 0.5% search quires worldwide. Today we will discuss more about the 21th Panda update. Towards the end of this article, as always we will provide some unique but splendid tips to recover from any Algorithms. Most of the Blogger and webmasters might be thinking that all algorithms used to have their own unique version. However, now we are not naming them in versions. Any ways let’s get back to the point. As we have mentioned above, that the effect of this refreshment was extremely slim, so it’s quite clear that the majority of webmasters would not notice any change in their traffic. Following is the screenshot of Google’s confirmation about the 21th Panda Update. When we compare these two updates with each other then, the results are pretty much amusing because Panda 20th was foremost update while 21th is a minor one. We are still in doldrums whether the effects of this Panda 21th are minor because many webmasters are witnessing a decline in their traffic. However, Google denies saying that this is a foremost refresh. Consider the following screenshot, which shows the effects of the both algorithm refreshments. Concentrate on BLOG: I have seen lots of bloggers who wastes their precious time and money on hiring people for the sake of commenting on other’s blog. Instead of caring about the number of backlinks concentrate on content and people will link to you automatically. Keep an Eye on Copiers: No matter who publishes the article first, it’s essential that a webmaster should take care of Content stealers. When the Google bots would find the same content on numberless websites they will either penalize copiers or the original content owner. To protect yourself from any kind of penalization keep any eye on the copiers. Google is getting fishy these days so no one can imagine what is coming next. What do you think about the recent Panda Update? Give your precious opinion till then peace, blessings and happy blogging. Increase in Traffic = Google Loves You. Decline in Traffic = Google Hates You. No Change = Don’t worry and be happy. lol... seems like Google also hates me. Thanx for sharing this information and now I understand why my traffic decrease suddenly. First I am l'il bit confuse about my traffic but now hope for the best.